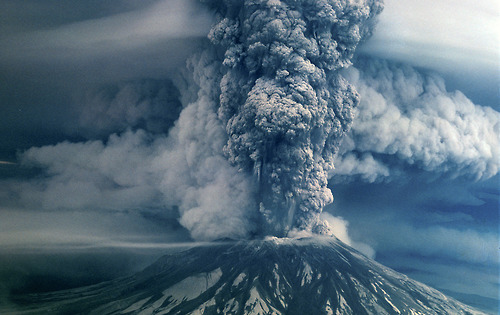 May 18, 1980: At 8:32 a.m. PDT, Mount St. Helens, a volcanic peak in southwestern Washington, suffers a massive eruption, killing 57 people and devastating some 210 square miles of wilderness. 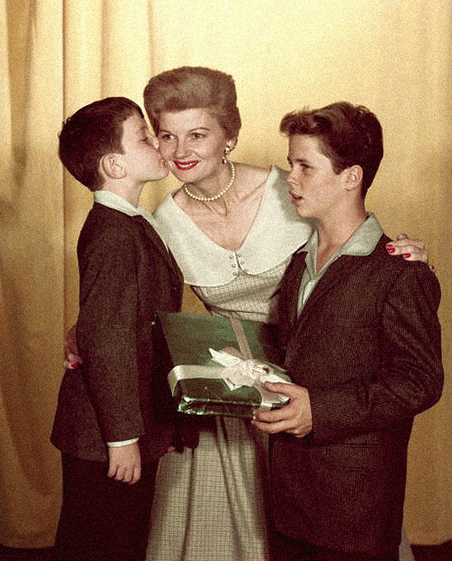 Jerry Mathers (as the Beaver), Barbara Billingsley (as June Cleaver), and Tony Dow (as Wally Cleaver), celebrate Mother’s Day in ‘Leave it to Beaver,’ Los Angeles, 1950’s Photo - CBS. 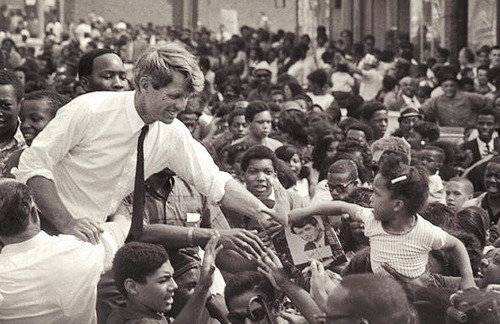 Senator Robert F. Kennedy campaigns for the democratic Presidential nomination in Detroit, Michigan, May 15, 1968. 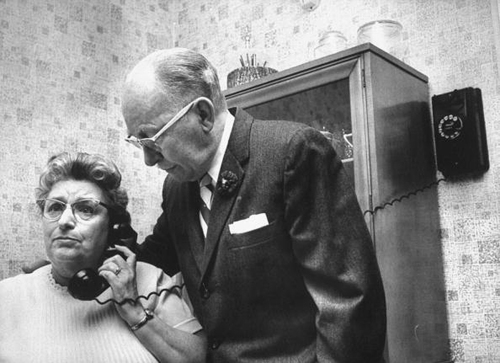 Detroit, Michigan, May 15, 1968 / Photo by Andrew Sacks. 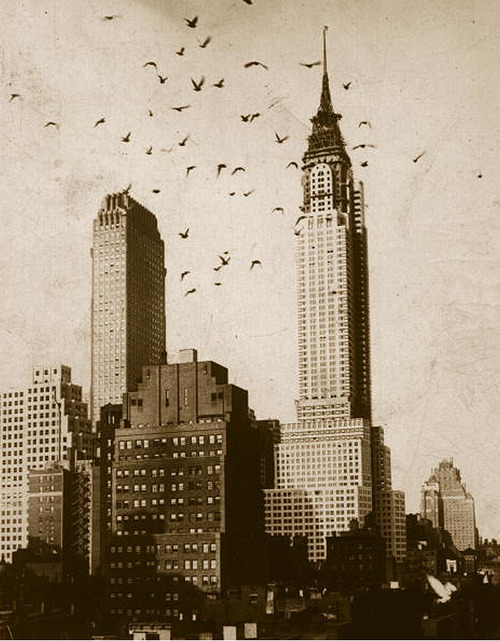 The Chrysler Building opens in New York City and becomes the world’s tallest building for 11 months – May 1930 / Getty Images. 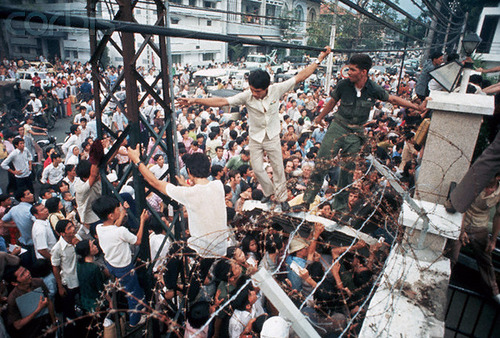 Fall of Saigon - Gates of the U.S. Embassy in Saigon, Vietnam - April 29, 1975. 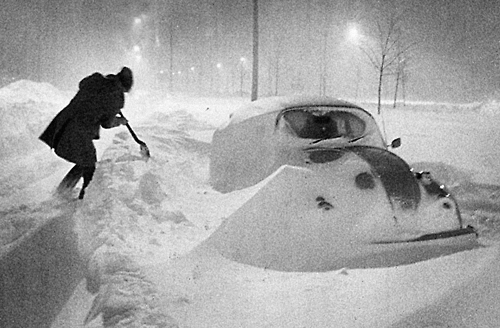 February 8, 1978: The Northeastern U.S. begins to dig out from the “Blizzard of ‘78”. 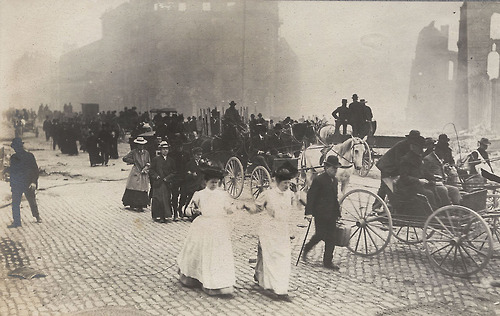 The Boston Globe. 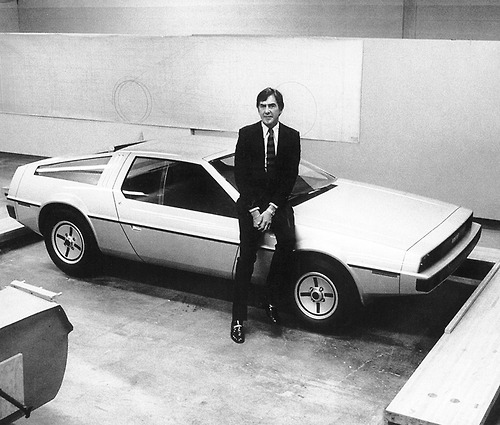 January 21, 1981: The DeLorean DMC-12 begins production in Northern Ireland. 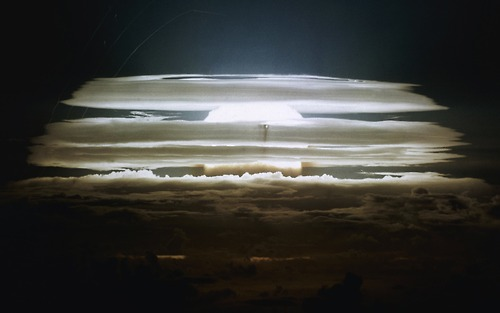 May 20 (21 Pacific Time), 1956: The United States explodes the first airborne hydrogen bomb over the Bikini Atoll in the Pacific. 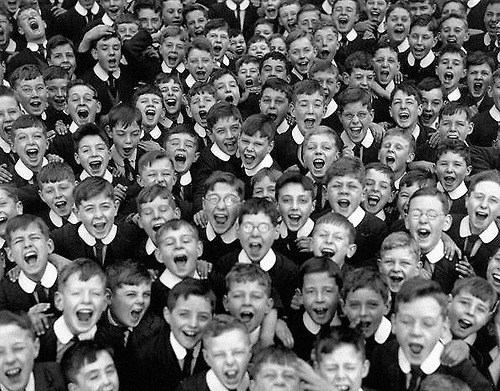 Boys of Reedham Orphanage cheer before their Christmas holiday. Surrey, England, December 1930 / Photo: Fox Photos/Getty. 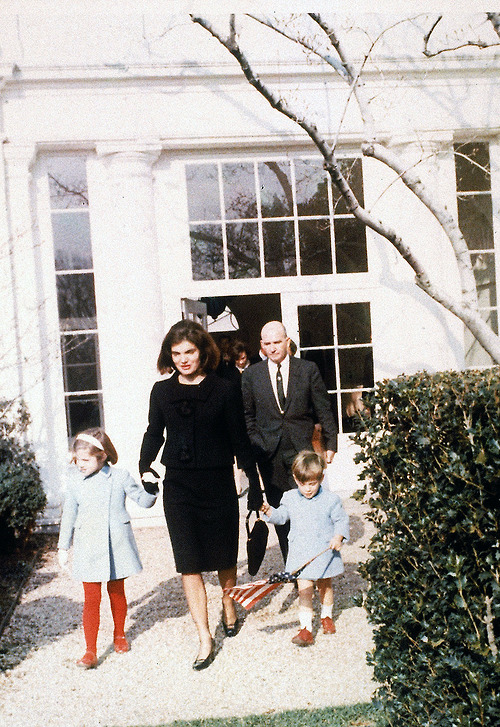 Jacqueline Kennedy and her children leave the White House on their last day in residency December 5, 1963 / Photo: Cecil Stoughton/Time & Life Pictures. 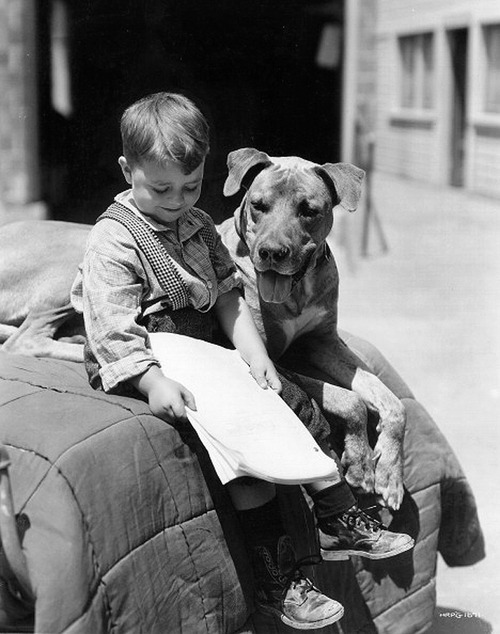 George McFarland as Spanky with dog, Von on the set of ‘General Spanky,’ part of the Our Gang series later to be known as The Little Rascals. September 1, 1936 / Photo CBS. 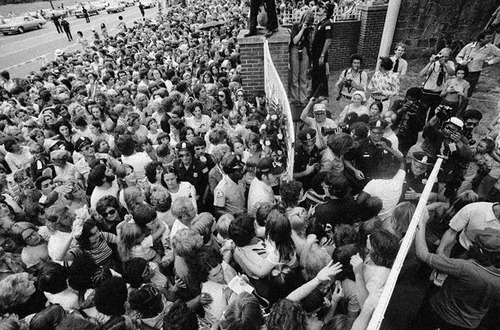 Fans storm the gates of Graceland during the funeral of Elvis Presley on August 18, 1977. Approx. 80,000 people lined the processional route to Forest Hill Cemetery, where Presley was buried next to his mother. 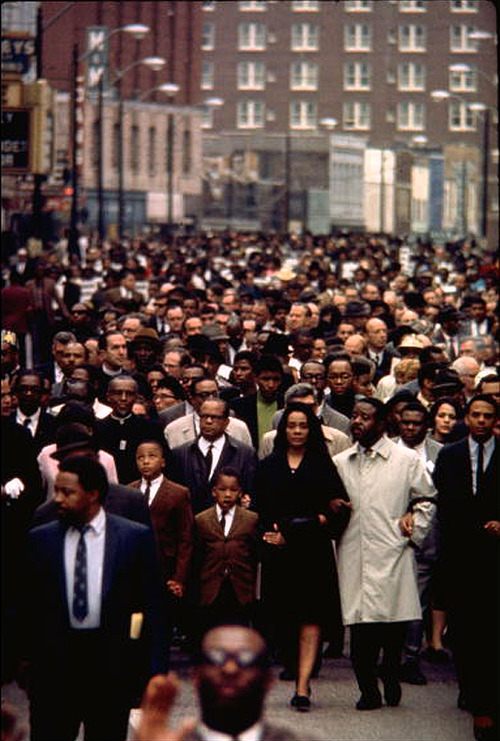 Ralph Abernathy, with Mrs. Martin Luther King and her children lead a massive march through the streets of Memphis four days after her husbands assassination / April 8, 1968. 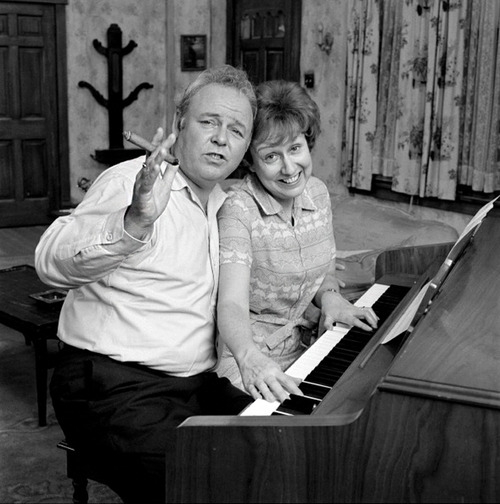 Jean Stapleton and Carroll O’Connor on set of “All in the Family”, Los Angeles, 1972. 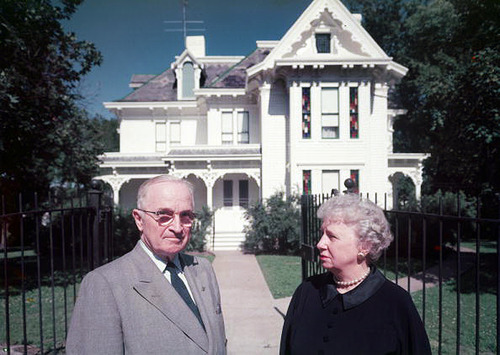 Former President Harry Truman (1884 - 1972) and his wife, former First Lady Bess Truman (1885-1982), outside the gate to their home in Independence, Missouri / 1955. 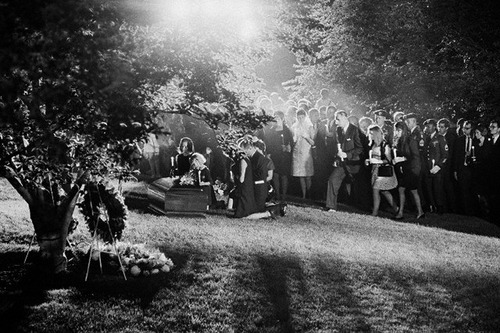 Members of the Kennedy family kneel before the coffin of Senator Robert F. Kennedy during burial rites on the night of June 8, 1968 at Arlington National Cemetery. 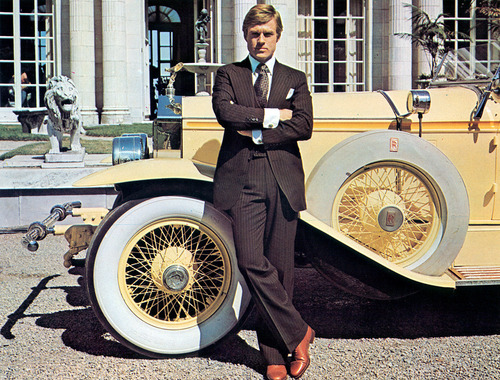 Robert Redford as Jay Gatsby in “The Great Gatsby” - 1974 / Photo Paramount Pictures. 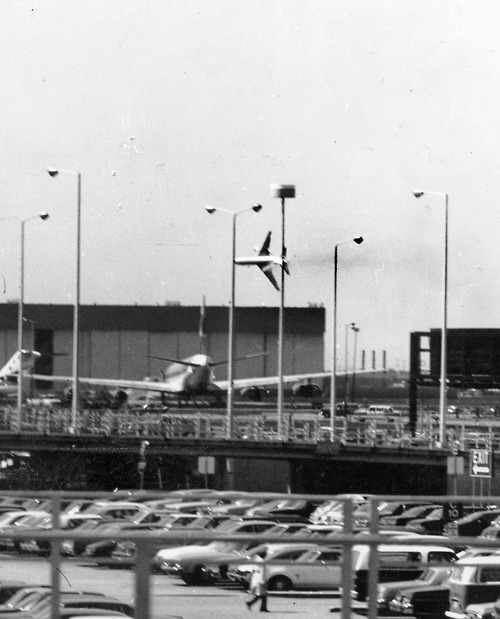 May 25, 1979: American Airlines DC-10 Flight 191 crashes shortly after takeoff from O’Hare International Airport in Chicago. All 258 passengers and 13 crew members were killed. It remains the deadliest aviation accident to occur on U.S. soil. Chicago Tribune. 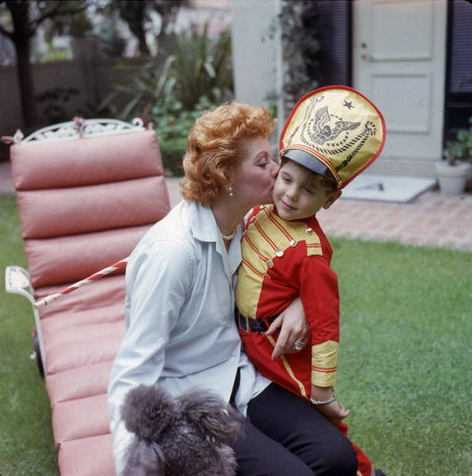 Lucille Ball and her son Desi Arnaz Jr, Los Angeles, California 1957 Photo: Gene Lester. 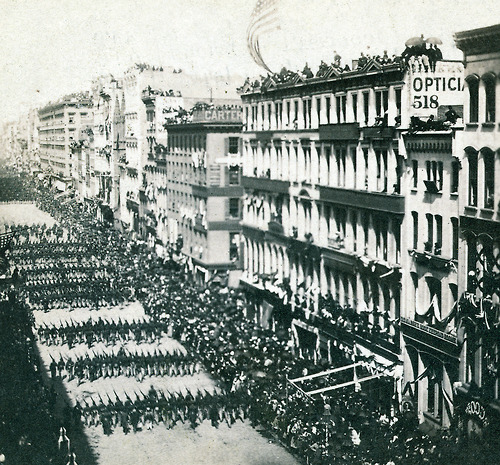 April 24, 1865: President Lincoln’s funeral procession arrives in New York City. Public viewings were held at City Hall starting at 1 p.m. and ending 11:40 a.m., April 25th. April 14, 1975: The American airlift of Vietnamese orphans to the United States ends after 2,600 children are transported to America. 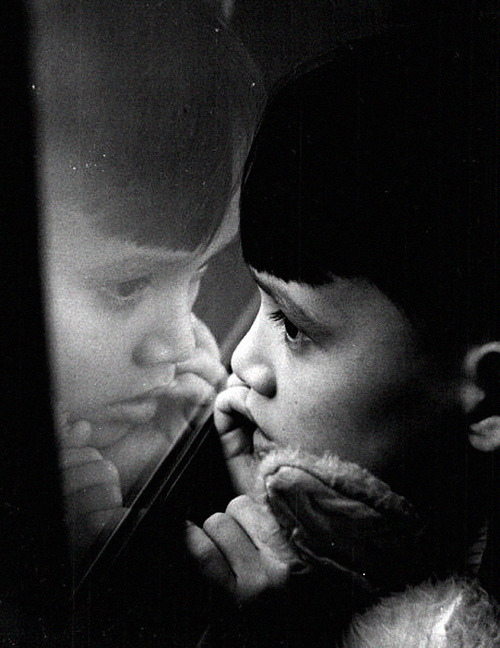 A young boy named Thanh-Long stares out a bus window on his trip to meet his adoptive family. 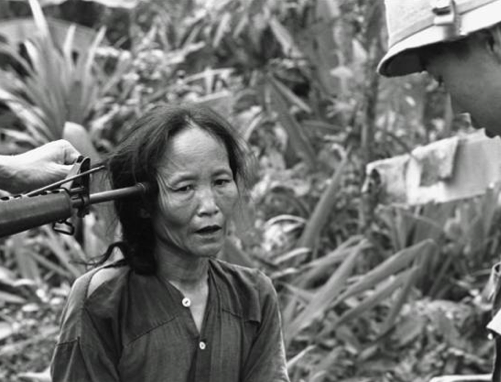 A female Viet Cong suspect is questioned at gunpoint by a South Vietnamese national police officer at Tam Ky, about 350 miles north of Saigon, November 1967. The M-16 rifle was held by a U.S. soldier during an operation of the 101st Airborne Brigade, searching villages of the coastal plains for suspected Viet Cong enclaves. 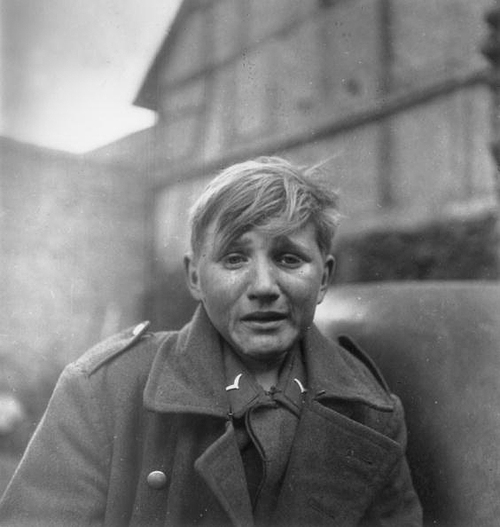 April 1945: Fifteen year old German soldier, Hans-Georg Henke, cries after being captured in Germany. His father died in 1938 and his mother in 1944. After his mother’s death, a neighborhad him drafted into the military so he could be taken care of. When the war was coming to an end he walked 60 miles to try and reach American lines only to be captured by the Russians. 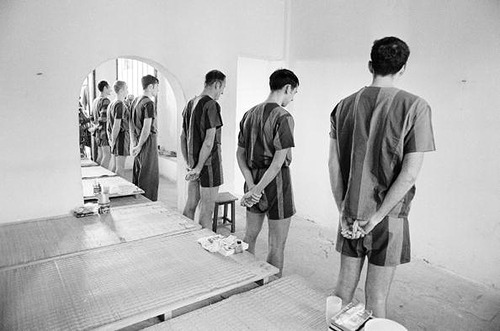 Henke, along with his two brothers, survived the war and he went on to live a full life. 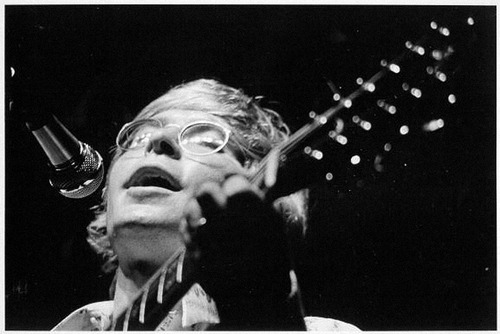 He died in 1997 in Finsterwalde, Germany.